Set 2 years after the events of Thor, this plot is fairly straightforward. An ancient power, know as the aether, was used the a race known as the Dark Elves to destroy the universe. The Asgardians stopped them, and their leader Maliketh, and secured the aether in a hidden dimension. 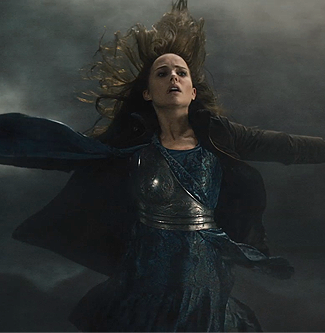 Millennia later, Jane Foster (Portman) stumbles upon the aether and it bonds to her, awakening the Dark Elves and setting in motion their plot to reclaim the aether, and get revenge on Asgard. Overall, a relatively well thought out storyline. There could have been a little more plot for Maliketh, but it served it’s purpose. What can be said, that hasn’t been? Chris Hemsworth IS Thor. From his first moments on-screen, his natural charisma completely embodied the character. He brings more of the same in this installment. Loki. 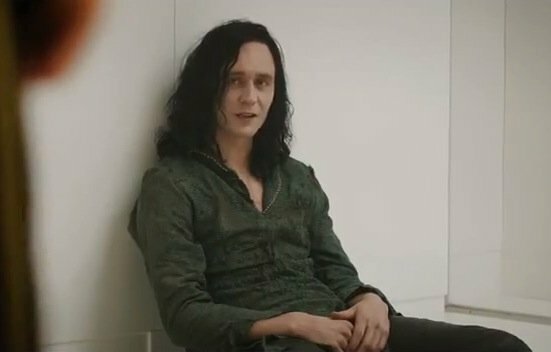 Tom Hiddleston has brought to life a character that never really connected with me in the comics. This amazing actor has not let us down in his third appearance as the trickster god. He was the main villain in Thor, and then the Avengers. Now he is not the villain in this piece, but he tends to dominate when he appears. The ending of this film, and where it leaves his character, is outstanding. 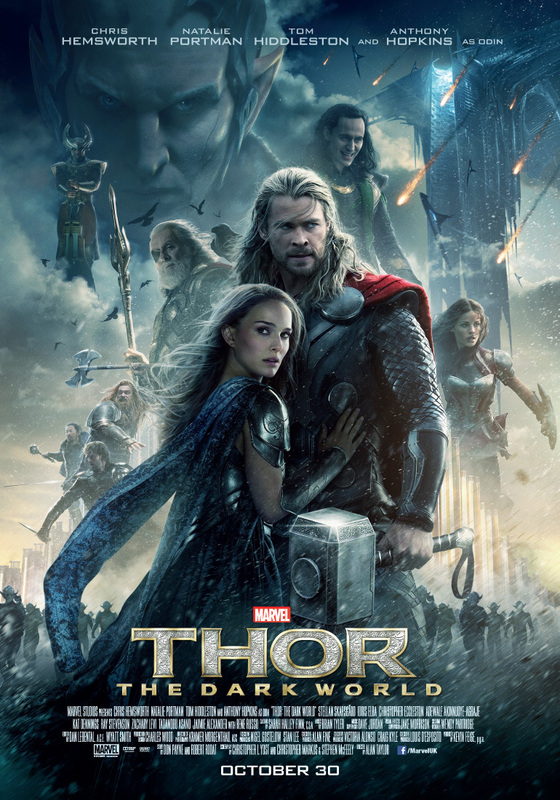 Natalie Portman returns as Jane Foster, the scientist who is Thor’s love interest. That’s about all she does in this film, other than being the damsel in distress and principle macguffin. In Thor 1, She had phenomenal chemistry with Hemsworth, which is sorely lacking in this film. It’s hard to explain, but the magic just isn’t there. Maybe it’s the script, or perhaps Natalie knows a good paycheck when she sees one and phoned it in. Whatever the case, she was a clear weak point in this installment. Doctor Who! 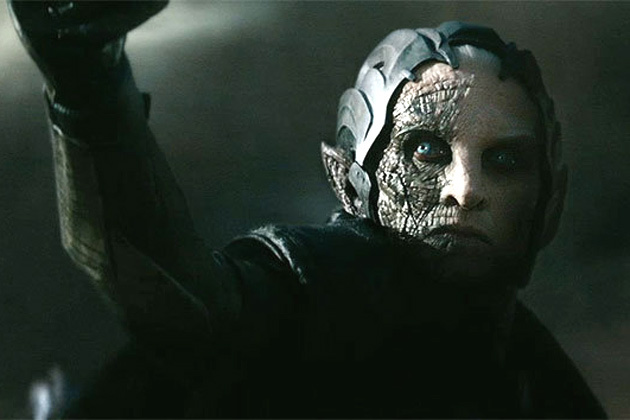 Chris Eccleston plays the leader of the Dark Elves. As with Foster, no major character development. He is just the “black hat”, which is fine. I know what this actor is capable of and would have liked to see more of him. 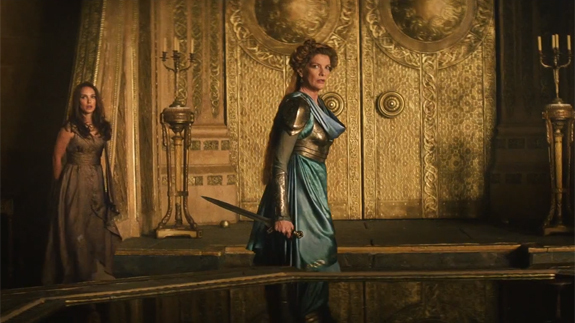 Renee Russo returns as Freya, Thor’s mom…for a moment. I really was hoping there would be more made of the Sif/Foster competition for Thor’s love, but it’s not being developed. I hope Jaime Alexander get the role of Wonder Woman. Sir Anthony Hopkins! 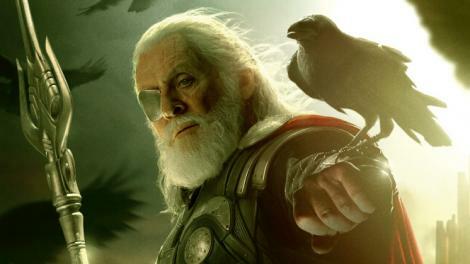 Odin is OLD in this film. One really gets the sense that the millennia have caught up to him, and he is ready for Thor to take over. Wait a minute?! 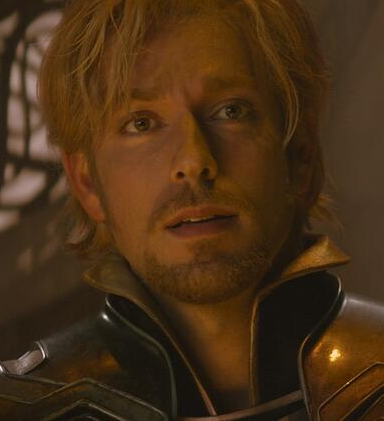 What the hell happened to Fandral?! 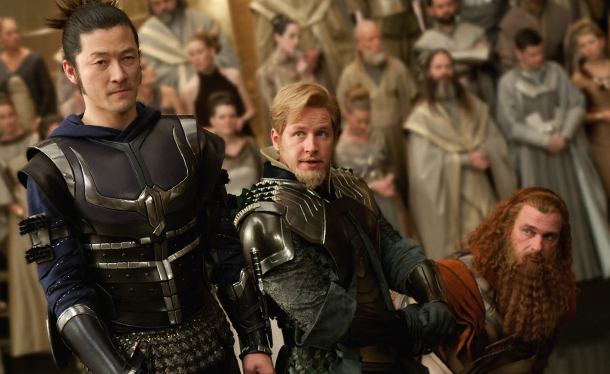 Recasting aside, the Warriors Three served their parts in the story, and were well performed. Light years better than Iron Man 3. My quibbles were quite minor with this film. It was better than the first (more time in space, less on earth) and everyone did a marvelous job. 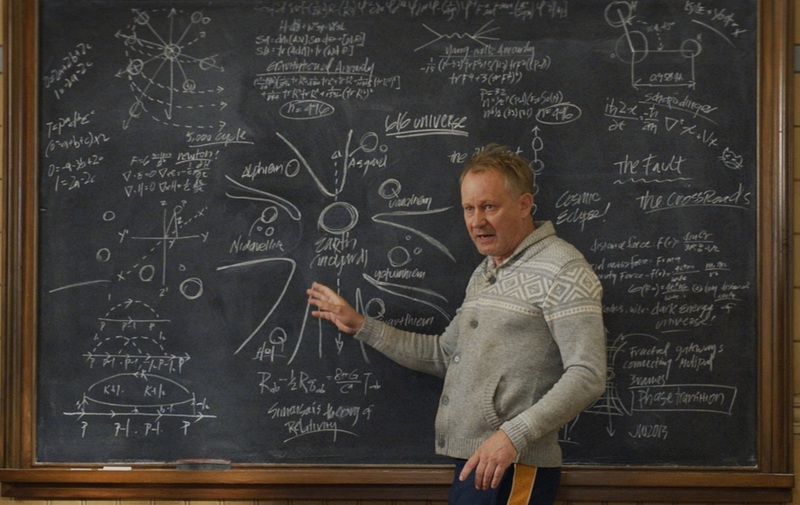 None more so that Stellan Skarsgard, whose brief moments on-screen nearly stole the movie. He is quite awesome.